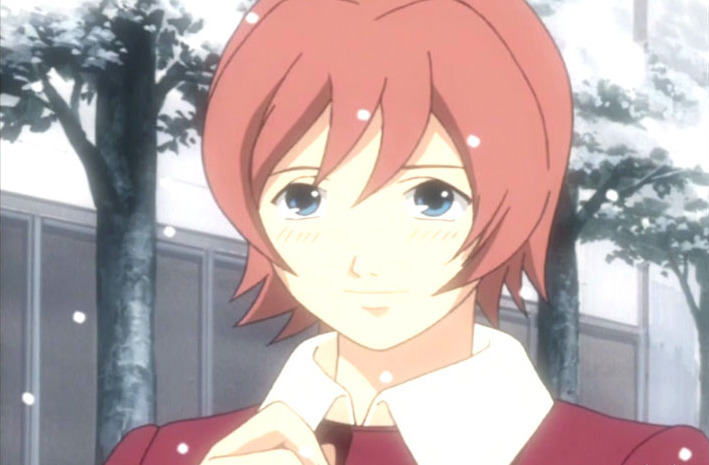 Itsuki is throwing a Christmas party and lets Haruka, Ayato, and the others know about it. Shortly after, a sudden and unexpected snow falls on the tropical island; Haruka gives the unready Ayato a pair of gloves that we find out she once wanted to give to her love from years ago. As the party approaches, a previously defeated Dolem and a Christmas gift bring our heroes into action. Beside the aforementioned snow (which matches nicely to the blue and white tones of the series), this episodes features Christmas shopping, a party, and gifts. A festive occasion and making your own miracle – about as non-religious as you can get. In fact, this entire episode is an exercise in how to use Christmas as a setting to advance the plot of a story without giving much time to the holiday. But a connection can be made to Christian spirituality – the Christian faith is often described as a relationship, not a religion. This episode is about relationships more than anything, as we delve deeper into several key ones. It’s a wonderful episode for those who love character development, and it gives a few hints of what will happen, relationship-wise, when the series concludes. A near-perfect episode of a near-perfect series set during a beautiful holiday – what more can one ask for? Wear your winter uniforms to school, cause it’s gonna be freezing outside. Definitely one of my favorite episodes in the series. Love the winter vibe in this episode, and the ending is quite sweet and touching. It took this episode for me to switch from “interested, but not convinced this show is great” to “I love this show.” On a related note, I just got my on-sale RahXephon from Right Stuf today! Correct me if I am wrong but I think Haruka intended to give that gloves to Hayato when she was younger (I mean, when they were the same age) and this time Haruka did the same thing again.